Contrary to popular belief, concrete has been around for centuries. 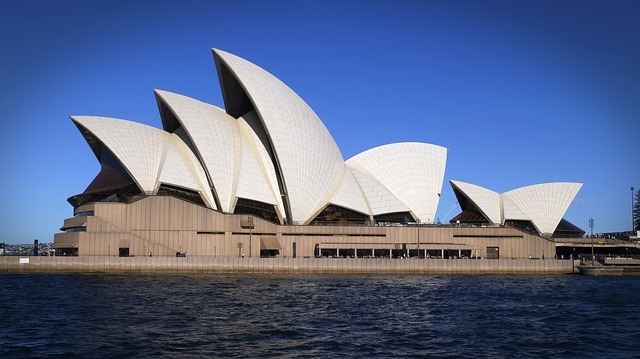 From then until now, the material has been responsible for some of the most impressive, beautiful, and recognisable structures across the globe, from the towering statue of Christ the Redeemer in Brazil to Italy’s world-famous Colosseum. Here, Madmix concrete company, based in the Cambridge area, takes a brief look at concrete through the ages. 6500 BC – At about this time concrete was used in construction by Bedouins in southern Syria and northern Jordon. Much later, in around 700 BC, they used kilns to supply mortar to make concrete for walls and flooring. At the same time, it was also used in Europe; there’s evidence that homes in Serbia had concrete flooring as far back as 5500 BC. 3000 BC – The Egyptians used cementitious materials in construction, to fuse bricks together. Thousands of workers also used lime and gypsum mortar to build the great pyramids, between 2589 and 2504 BC. 1250 BC to 612 BC – Concrete was used in Greece and Assyria (an empire which stretched across countries now known as Cyprus, Iran, Iraq, Armenia, south eastern Turkey and Egypt). The 28 metre long Assyrian Jerwan Aqueduct in Iraq is a prime example of a structure built in this period. Regarded as revolutionary at the time, it was built using waterproof concrete shortly after 700 BC. 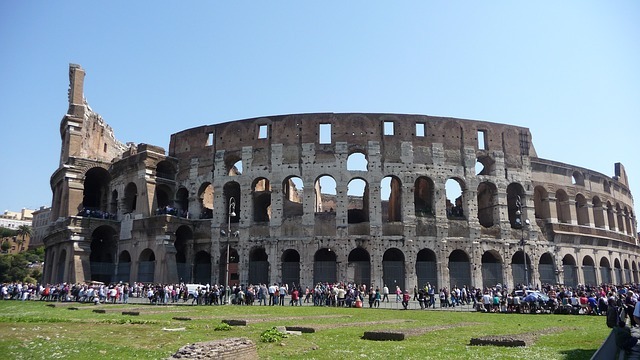 300 BC – 476 AD – Concrete was used extensively throughout the Roman period for the construction of all sorts of incredible structures, including buildings with attractive arches and domes. Examples of concrete Roman structures still standing today are the Colosseum (pictured above) and the Pantheon, which is the largest reinforced solid concrete dome. 476 AD to early 1800s – The knowledge of concrete was lost with the fall of the Roman Empire. It wasn’t rediscovered until the 18th century onwards, when various patents were introduced using hydraulic cement. 1824 – English bricklayer Joseph Aspdin patented a method of using Portland cement. It was named after Portland stone, used for construction in the Isle of Portland, off the coast of Dorset. Shortly after, Portland cement sparked interest in the US, although the country didn’t receive its first shipment until 1868. 1849 – 1875 – Parisian gardener Joseph Monier invented reinforced concrete (combining iron and concrete) in his efforts to produce stronger flower pots. He exhibited the idea of reinforced troughs and tanks at the Paris Expo 1867 and patented it the same year. He later obtained more patents, this time for reinforced cement beams and bridges, and in 1875 he designed the first iron-reinforced cement bridge, at the Castle of Chazelet. 1867 – 1892 – Moneir’s idea was spotted by Francois Hennebique, a French builder and engineer who also attended the Paris Expo and opted to use a similar technique in property construction. He set up his own company and patented a system to use concrete reinforced with steel in buildings. At the same time similar techniques were also used in construction in Germany and America. 1893 – US inventor George Bartholomew pioneered the first concrete pavement. He created the world’s oldest concrete street which can be found in Court Avenue, near the Logan County Courthouse, in Ohio. 1902 – 1904 – The first apartment block was built in Paris using steel reinforced concrete and this plunged concrete into the spotlight for use as an elegant and attractive building material. It led the way for more concrete buildings, including the first high rise in Ohio in 1902. 1930 – 1958 Different techniques were developed, including thin shell technology, and also air entrainment, which improved the robustness of concrete. All sorts of structures were built using these new techniques, such as hangars, dams, industrial buildings, bridges and concrete roofs. The most famous concrete roof, made using thin shell technology, was the Sydney Opera House (above) built in 1958. 1962 – 2009 – The use of concrete for the construction of high rise buildings escalated, such as the Twin Towers in Chicago which were built in 1962. Other spectacularly tall buildings and structures followed, some of which have made their way into record books. Among them is the CN Tower in Toronto (built 1976), the Khalfia Tower in Dubai (built 2007) and the Trump International Hotel and Tower in Chicago (built 2009). 2005 – To the present day –The Madmix concrete company was founded. 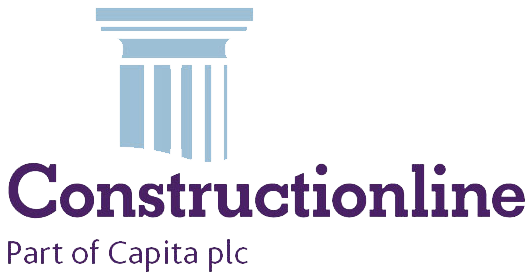 With an excellent reputation in the Cambridge area, we deliver a range of high-quality specialist concrete mixes for large or small projects. These include kerb mixes, waterproof concrete, pumpable concrete, sulphate resistant concrete, lean mix concrete and polypropylene fibre reinforced concrete. Just click on the link above to find out more.